Even though Mac OS X does a perfectly fine job of burning optical discs, there are times when I want additional software to help me with important jobs. Such was the case recently when I was on the road with my MacBook Pro and wanting to copy a DVD. On my older PowerBook, I have a copy of Toast. It does an admirable job of copying and creating DVDs and CDs. But the upgrade price is steep, too steep, and I hadn't added it to my Intel Mac yet. Create CDs based of VIDEO_TS and AUDIO_TS folders. Capable yes, but a big part of Disco's enjoyment is how fun it is to use. When you're burning a disc, smoke emanates from the UI. 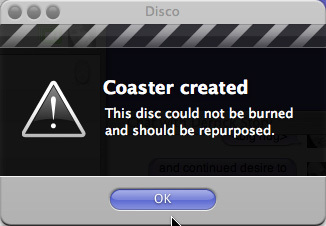 When I accidently put a bad disc in my Mac, Disco notified me that I had just created a coaster... little things to pass the time while taking care of business. 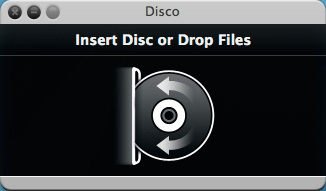 You can download Disco right now and burn up to 7 discs to see if you like it. My guess is that you will. Then you can buy it for $29.95 US. You'll save money now, and on the upgrades too. In his latest article on O'Reilly Digital Media, dekeBytes: A Taste of Vanishing Point 2.0 in Photoshop CS3, Deke McClelland says, "The Vanishing Point filter was one of the way-cool additions to Photoshop CS2. And it's gotten even better in CS3. Now you can connect non-perpendicular surfaces and wrap an image around multiple surfaces at a time." He shows exactly how this works by melding an image around a virtual DVD case. Sample files are provided so you can follow along. 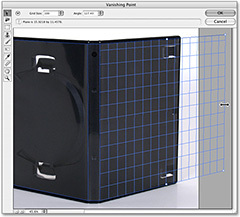 It's a good tutorial if you're interested in learning how to use the Vanishing Point filter. 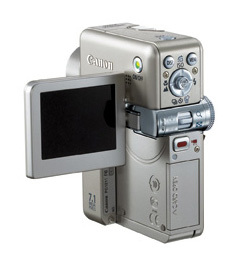 Ellen Anon writes in her recent post, Memory Card Failures, that "Sooner or later it happens to almost all digital photographers - at least all those who shoot a lot. You check some of the images in camera and they look good. You load the memory card into the reader and wait for the images to appear in Aperture’s import window. But nothing happens. You push the card into the reader a little more firmly and make sure the reader is attached properly to the computer, but still there’s no sign of the card showing up on the computer." "The first time it happens it’s hard not to panic, especially if the card contains shots that will be difficult to replicate. Plus you wonder if the card is corrupt and should be replaced, or if you can salvage it. And you wonder if it just happened out of the blue or if you somehow contributed to the failure." What follows is some good information about handling memory cards and what to do when things go wrong. Also, check out the discussion at the bottom of the post. Some great comments by knowledgeable people round out this helpful article. One of the most popular shots I've published on The Digital Story was Steve Wozniak arriving at an Apple event on his Segway. Well, the Segways are out in full force again. This time, I was out enjoying the SF sites on the SF Photo Walk -- a side event at WWDC that included a few TDS members! 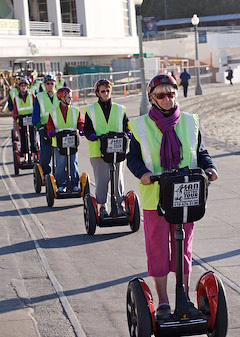 -- and lo and behold, an entire squad of Segways approached. They were part of a tour led by a company that puts visitors on Segways, then communicates with them through a walkie talkie system that provides local information through a speaker mounted on the Segway's handlebars. kottley started an interesting discussion about online photography classes -- such as Betterphoto.com, and the comments by TDS members so far has been helpful. But it would be nice to get more perspectives from folks who have taken online photo courses, such as NY Institute of Photography, BetterPhoto, etc. If you have tested any of these, please chime in. And if you just want to read what others think, then wander over to the watering hole. Virtual is good, but in-person isn't bad either. 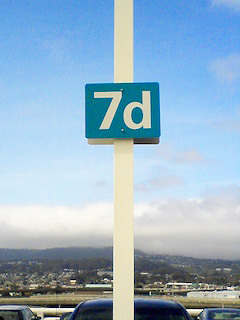 I have a number of teaching and speaking events lined up for 2007, and I'm going to publish monthly updates here on TDS. I've also created an Events Calendar so you can peek ahead, especially if you're planning a trip to Northern California. This highlight for July is the Sony/Pop Photo Digital Days coming to Sheraton Gateway Hotel, 600 Airport Blvd., Burlingame, CA 94010, (650) 340-8500. I'll be speaking on Lightroom on the 21st and CS3 on the 22nd. Looking ahead, I have an all day workshop in Santa Rosa on Aug. 18 titled, I've Taken Great Photos, Now What?. You can sign up at the SRJC Community Ed page. If you see something on the Events Calendar that interests you, be sure to email me first to confirm the date and find out additional details. My contact information is on the Submissions page. Just a poll of the members ... which photo management and post-processing app do you use? E.g. 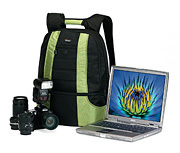 Aperture, Lightroom, Photoshop, Elements, iPhoto, Picasa, NIkon Capture, iView, etc.? I'll start by saying that I'm using iPhoto and am in the process of deciding between Aperture and Lightroom. How about the rest of you? The comments that follow are interesting and informative. If you're thinking about upgrading your post production workflow, I think you'll enjoy this conversation. You can join in here.